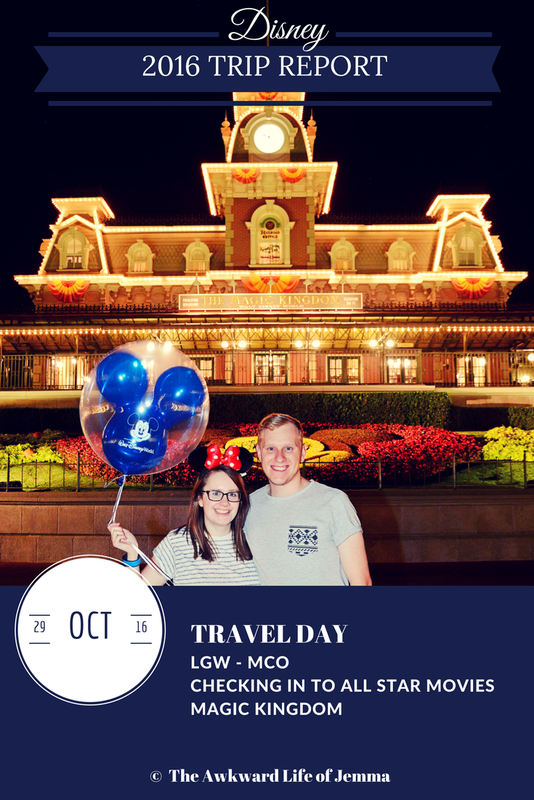 Disney Trip Report | Travel Day, All Star Movies Review & Magic Kingdom! 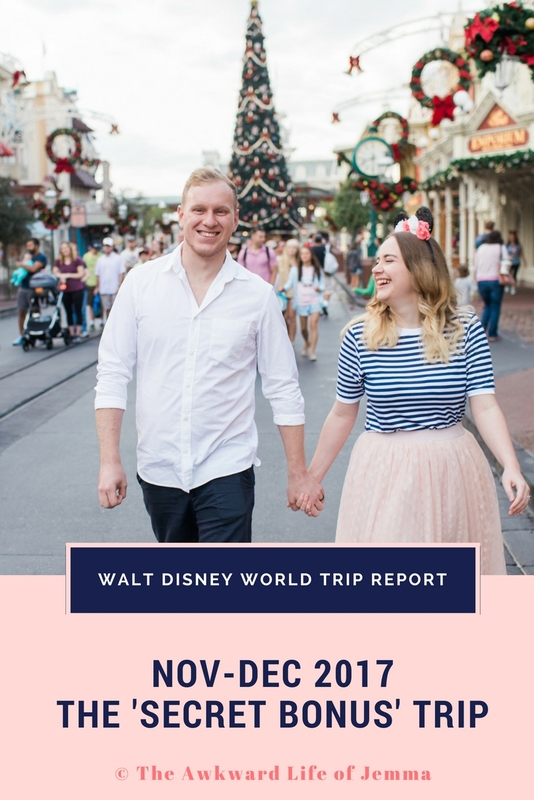 We're just starting a new review series on our YouTube channel, When You Wish Upon a Vlog, so I decided now was a good a time to finally write up our 2016 trip report! Better late than never right? I actually meant to write these alongside our vlogs each week but editing the vlogs took up so much of my time that the task of editing our photos and writing everything up too seemed really daunting. If you'd rather watch than read you can view our whole playlist by clicking here, but I'll also be including the vlogs and our reviews in these posts to tie everything together! 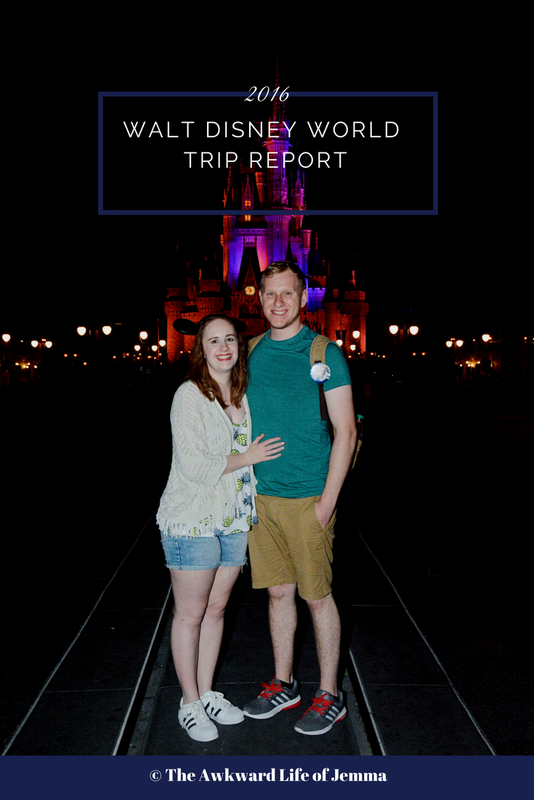 If you want to read the whole report you can check out the Trip Report Index, which I'll be uploading as each post goes live, so be sure to bookmark it if you want to follow along! I'll start with a bit of backstory about this trip! It was booked on a bit of a whim in early January 2016. 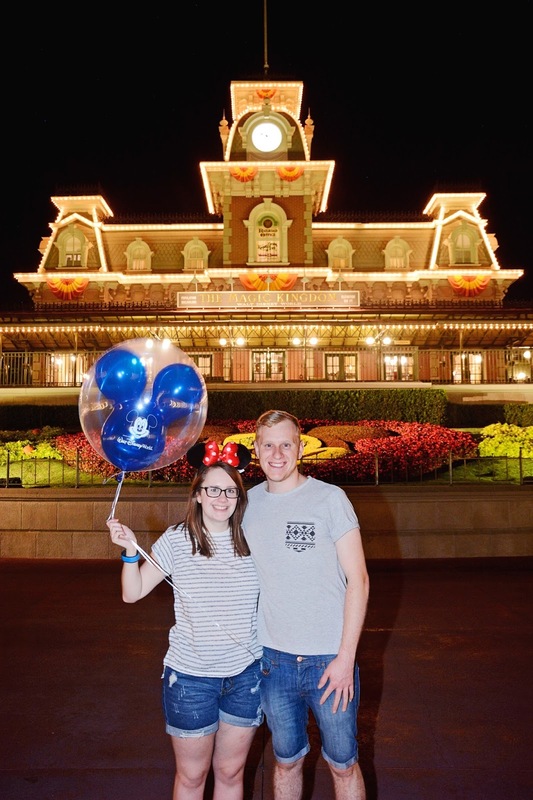 We were so excited to finally be going back to Florida and to be staying at Walt Disney World for the first time properly. 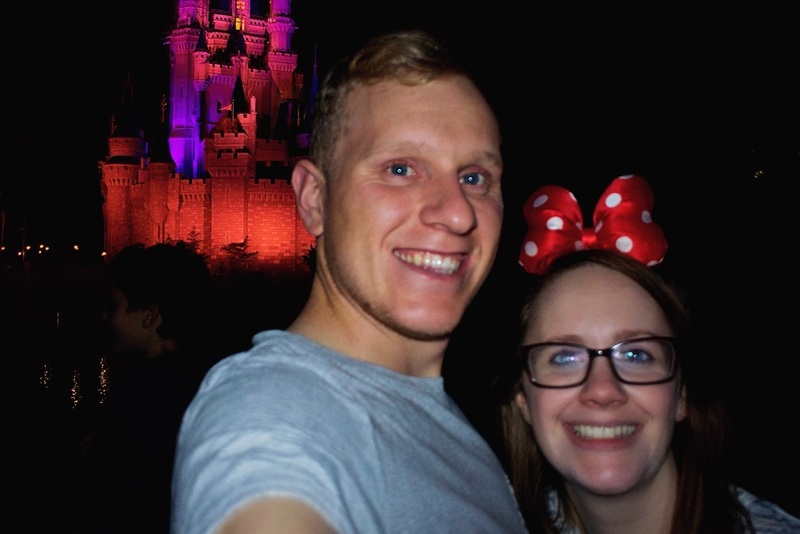 We'd booked All Star Movies (review further down this post) through Disney as it was one of the cheapest hotels available to us, flights with Virgin Atlantic and added on car hire through Virgin Holidays. It wasn't long after booking our ADR's (you can see what we'd originally booked and why in our 'Where are we eating video' that our plans started to falter. As we all know Brexit happened and the exchange rate plummeted. The idea of paying out of pocket when we didn't know what the exchange rate would be like (it was under 1.2 at the time of travel!) really worried me so in the end we decided to add on the Disney Dining Plan. The set price (in £GDP) meant we'd not having to worry about spending while we were there, and because the rate was so low we'd potentially come out on top. Now armed with DDP credits we had to book some more ADRs and rethink some of the cheaper options we'd picked previously to ensure we got value for money. (We're filming a video on the Pros and Cons of DDP soon so I'll go into more detail then). We were also hit with some of the worst news imaginable when my (future) Mother-in-Law was diagnosed with terminal cancer. I'm not go into detail about that here, but safe to say while we tried to be optimistic, our trip to Disney was the last thing on our minds. When travel day (which was technically two days as we travelled up to Gatwick the night before our flight and stayed over at the Hilton) finally came around we were strangely calm. We'd prepared for, and been through, the worst and I was grateful that we'd had our bags packed in advance so we could leave at a moments notice rather than faffing around at the last minute as we'd spent the last few days with loved ones. Harry's brother picked us up to take us to the airport and although we were on the road about an hour later than planned there was absolutely no traffic and we drove from Essex to Gatwick in just over an hour! 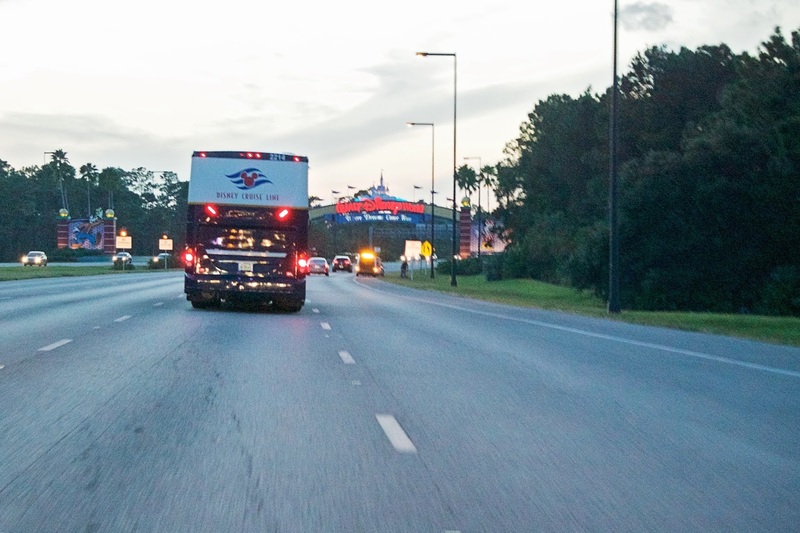 We mention it a lot in our Travel day vlog but we were tired, probably still in shock, and delirious so it really didn't sink in that we were going to Florida. We checked into our room at the Hilton North Terminal with no problems and although the room had seen better days (and the taps leaked) it was perfectly fine with a big, comfy bed. We didn't loiter long before taking our luggage down to the terminal (the Hilton is connected to the main multi-story car park opposite via a tunnel) and joining a slightly long queue at the Virgin Atlantic Twilight Check In Desk. We then went to explore the land-side food options and decided on Giraffe. I chose the Chicken Milanese as recommended but it was pretty dismal in presentation and flavour. Harry had the burrito which was a much better option. We also had our first cocktails of the holiday! We decided not to have dessert but went for a wander around M&S food and picked up some Rocky Road bites to take back to the room with us while we lounged on the bed, watched TV and tried to have an early night. We checked out of the Hilton I believe around 8ish, walked to the terminal, found no lines at security and were through in about 10 minutes! It was so much quicker than expected that I was not prepared and as I walked through the scanner I headed off in the complete wrong direction! From security we did a lap of the departure lounge (which is pretty huge) before decided to have breakfast at The Wonder Tree. My stomach wasn't feeling quite right so I went for a safer option of scrambled eggs on toast with a peppermint tea while Harry had the Mexican Breakfast. The dishes were presented beautifully and tasted great too so I was really impressed, much better than our last experience at Frankie & Benny's in 2013! The restaurant was really pretty and had these life-size perspex trees full of lights that changed colour. Following breakfast we learnt our 11am flight had been delayed by an hour so we had another browse around the shops but mostly sat and tried to be patient. When our gate was finally announced everyone rushed over there and no sooner had we sat down again then they decided everyone should start boarding, regardless of row number. They also gave out some free small bottles of water. The flight was one of, if not the, best I've been on. It was very smooth, I think they may have put the seatbelt sign on at one point but I don't really remember and both the food and service was good too. Not long after take off we were given drinks and packs of pretzels and nearly as soon as these were cleared away they started bringing around lunch. I went for a chicken teriyaki option which I enjoyed and Harry had beef chilli with wedges. I also watched Finding Dory and Zootopia to get into the Disney spirit and be up to date with new characters before I arrived! Harry and I sat at the end of the row of four in middle rather than by the windows because we didn't want to be sat with a third person who we'd have to bother every time one of us wanted to get up. The seats worked out really well for us, except the older man next to me slept through most of the flight and got really bad breath! The seats we'd chosen were near the front of the plane which meant we were some of the first off and marched briskly down towards the immigration hall. The queue was the longest I've seen but thankfully this was later split into two as we were allowed to use the new electronic system rather than follow the line for the old one. One through we spotted our cases (they'd probably been going round the carousel for awhile due to the queues) and joined another queue for customs. Finally we were able to catch the monorail which was obviously quite busy and then head straight out in the Florida heat to the Car Rental garages. We'd used the Alamo Skip the Counter which meant that we didn't have to check in downstairs and Harry simply went to clarify with a rep in the garage and was told to choose a car from the SUV lineup. We picked a Chevrolet Equinox and headed out of the garage and onto the main road following Google Maps to the All Star Movies. Traffic wasn't bad and we'd made sure to stop and get some change at the airport so tolls weren't an issue for us either. Going through the Walt Disney World gate is still one of the best feelings ever and it finally started to sink in that we were here! We arrived at All Star Movies and parked up in one the spots reserved for checking in. There was a bit of a line at the desks and the staff were a bit slow but eventually we got given our Magic Bands (blue for me and red for Harry) and a map of the resort. We'd been given a room on the ground floor in the Mighty Ducks section on the opposite side to the pool as we'd requested a quiet room and this worked really well for us as it was very close to the car park which made taking the luggage really quick and easy. The room was as we expected but we didn't stay long as we wanted to head off to Magic Kingdom! Magic Kingdom takes by far the most effort to get to by car. It's the furtherest park away, and once parking up and getting a tram to the Ticket and Transportation Center you then have to take either the Ferry Boat or Monorail. We got in the line for the monorail which wasn't too long although there were still a huge amount of people trying to enter the park (it was a Saturday night!). Of course Harry would be selected for a security screening too (the first of many) but then we got to use our new Magic Bands for the first time and enter under the sign that reads 'Here You Leave Today and Enter the World Of Yesterday, Tomorrow and Fantasy'! By this point I think we were completely delirious that we had actually made it and as the castle came into view we were mesmerised. It didn't last long though as we had a Fastpass+ to catch as our 19.35-20.35 window was now coming to a close! Our first ride of the trip was the Seven Dwarfs Mine Train and we loved it! Whether it was because we were tired, or because it was dark but it definitely felt faster that first time we rode it. It's not a long ride but it is really fun to singalong and put your arms up. Following the ride we really needed to eat something so we headed over to Cosmic Rays Starlight Cafe which was, of course, packed. Harry got a Bacon Cheeseburger meal with fries and swapped his dessert for a side of green beans while I had those delicious crispy Disney chicken nuggets with fries and my favourite bright yellow mac and cheese and S'mores ($38.54 inc. drinks). I couldn't eat all of it (It was now 9pm, so 2am GMT!) but I enjoyed watching Sonny Eclipse perform as we'd never watched him before! It wasn't long before the Celebrate the Magic projection show was starting followed by Wishes so we decided we better make a break for it but not before buying me a balloon! I really wanted one on the last trip but of course left it too late so we made it our mission to get one on the first night this time so we could have it for the whole two weeks! Of course we had to get a photo pass picture to document and this photo still remains one of my favourites from the whole trip! Luckily you can't see quite how tired we were but in our own camera and video shots our eyes our huge as we fought to stay awake! We boarded the ferry boat to take us back to the TTC and as we left the dock Wishes was starting which made it more magical. I don't really remember the rest of the night but I'm pretty sure we got to the car, drove back and went straight to bed! Ahh it's bringing back so many memories when we went last year! :') So glad you had a good time! All the photos I've seen look amazing!